Our doctors maintain the highest levels of accreditation and pursue ongoing training so they can continually provide the most advanced level of care. Click on their names to learn about their interests, training and credentials. Tricia West, who joined us in the spring as Chief Executive Officer, is responsible for managing the staff and our three offices, and ensuring that patients receive the highest quality of care. Tricia previously worked at a urology and urogynecology surgery practice in Seattle for seven years, and has already become an invaluable asset to the doctors and our practice. "Our staff and physicians are outstanding. Every day I observe the staff professionally and personally take care of patients,” she says. “Oral surgery can be very daunting. Our staff know how to make patients comfortable by providing them information while alleviating fears". Tricia is strongly focused the team approach to patient care. Our doctors often partner with a patient's dentists or other medical providers on creating the best treatment plan. That collaboration is key to providing quality and comforting care for our patients. If patients have any questions, or would like to talk about their experience while in our care, Tricia would be happy to speak to you. Please contact her at twest@lowelloralsurgery.com or at 978-458-1264. Becky started with our practice in 2011, checking insurance benefits and then moving to the front desk, where she greeted and assisted patients. 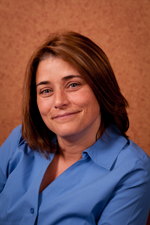 In 2013, she became our Nashua Treatment Coordinator, a job that combines the skills of those two previous positions. Our newest Treatment Coordinator, Sarah works at our Lowell office, where she helps patients prepare for their treatment and sort out insurance and scheduling issues. This isn’t Sarah’s first experience working in healthcare. 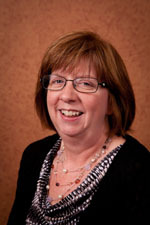 Prior to joining our practice, she worked in a family practice medical office through Lowell General Hospital, and in the Health Information Management department at St. Joseph’s Hospital in Nashua. She says, “I love having the opportunity to meet new people, learn new skills and to make a difference every day.” It’s no surprise that after only a few weeks, she has already become a huge asset to our office. "Working in our newest office has been a great experience so far, from meeting patients to adjusting to the work space to enjoying our beautiful new office!" according to Brianna, who works at our Chelmsford front desk. Her job is to make sure patients feel comfortable from the minute they walk in and to “assure them they are in great hands.” Brianna is a former waitress and joined our staff this fall. 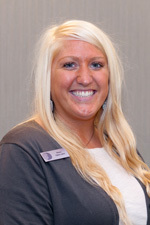 She loves working with both patients and her co-workers and has adapted well to our practice. Her strong background in customer service and her high energy are both valued. 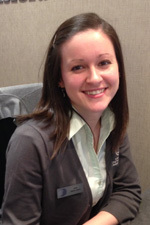 Nancy joined our team last June, training in our Lowell office before moving to Chelmsford this fall. She primarily works behind the Chelmsford front desk, but also covers other offices when needed. Her job is all about communication. She speaks with patients and their referring doctors, and helps to ensure x-rays and required paperwork are submitted prior to treatment. She also works closely with our doctors and staff to ensure things run smoothly in the office. Before joining our staff, Nancy spent many years as a Human Resources Representative within the Biotech world. She was looking for a change and was excited for the opportunity to work in a medical office. She has enjoyed being part of our practice and seeing the opening of our newest office. “Here I am working with excellent surgeons and great co-workers,” she said. She likes helping patients feel comfortable as they prepare for and anticipate their surgery. 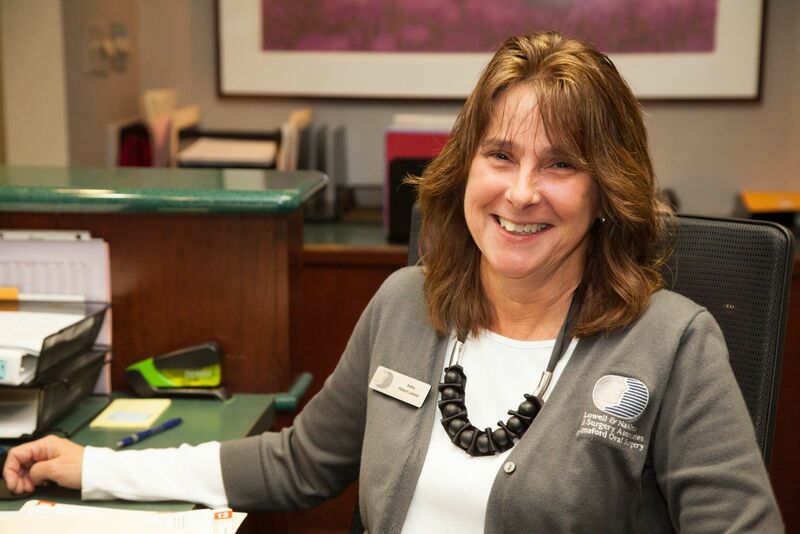 Kathy has been part of our administrative staff since 2000, and is often sitting at the front desk, greeting patients and helping them get settled in. She works in either Chelmsford or Lowell, and is a valued member of our team. Kathy has seen many patients return in her years with the practice. Trish has worked in our practice since 1994, and is now the Clinical Manager in our Nashua office, as well as our new Chelmsford office. She works closely with our clinical staff, and enjoys both the administrative aspects of her job and working with patients. Trish has grown along with the practice, expanding her knowledge of Oral Surgery over the years. She has seen the practice grow and change, moving into a new office in Nashua several years ago, and now opening a third office in Chelmsford. “I enjoy…the professionalism of the doctors and staff,” she says. She believes the practice is successful because of the level of care we provide to patients, but also says, "our patients are second to none. I enjoy welcoming them to our practice." 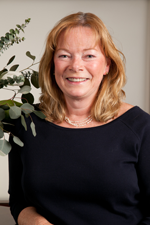 Jan has been with our practice for over 20 years! She has worked as front desk administrator during her tenure, checking in patients and doing “anything the patients need” to feel prepared for their surgery. She has seen patients come in with braces, and return years later when they are married and need our help. “They always come back,” she says. 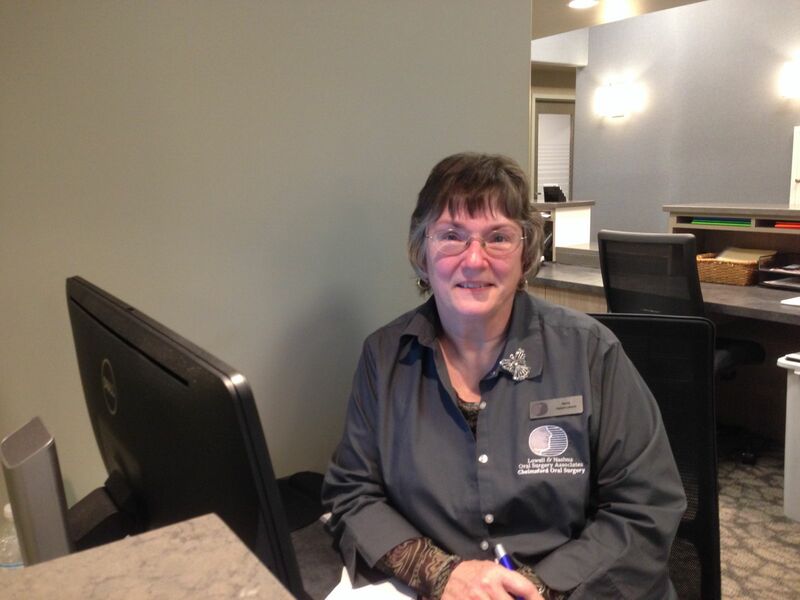 Currently, Jan works as one of our Treatment Coordinators, helping patients sort out insurance and financing issues. 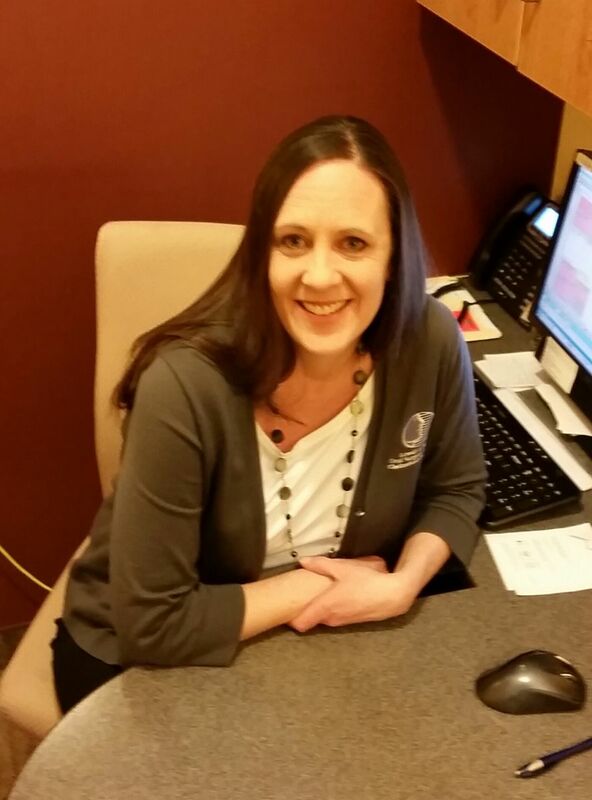 She provides all the information they need to ensure their treatment goes smoothly. She used to work in our Lowell back office, and she also greeted early morning patients at the front desk, welcoming them and checking them in for their appointments. Now she now has moved to our Chelmsford office, where she works exclusively with insurance claims. 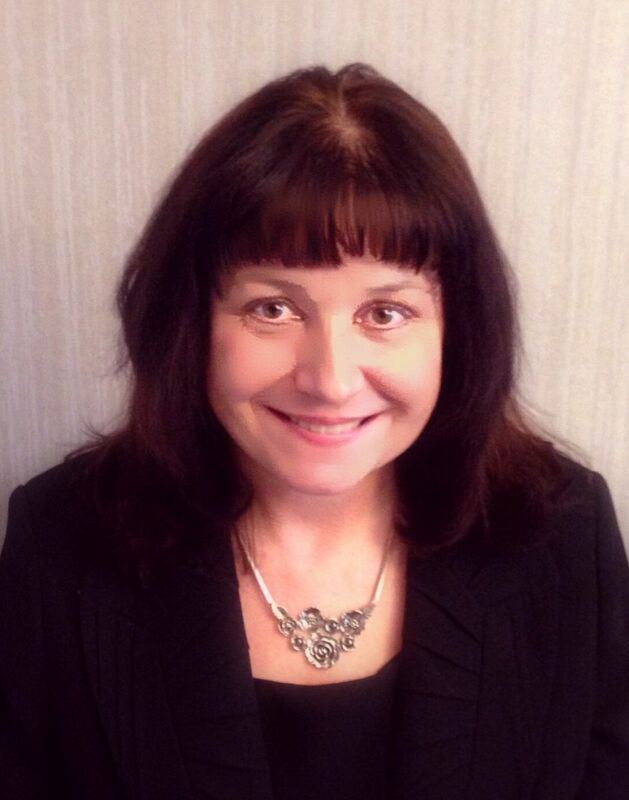 Pam is our go-to person when it comes to insurance companies and sorting out policies and benefits. 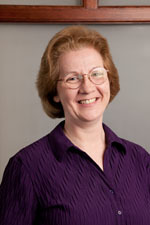 Cathy has worked with us since 1991, starting in our old Lowell office. As our Implant Coordinator, she is part of our management team, but she also assists our doctors with procedures. I like interacting with patients, and helping with surgery, she says. I initially came to work here because I knew the doctors, and the reputation of the practice.Our doctors are professional and the staff is great. I always refer everyone, friends, family, and acquaintances. I wouldn’t let them go anywhere else.